I added the yeast, sealed up the system, and let it get on to fermenting! 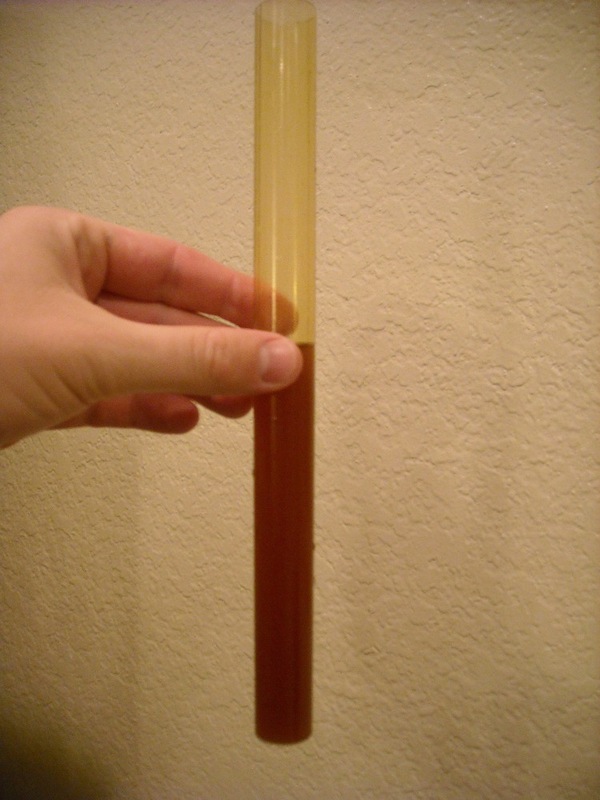 The starting gravity was 1.052, indicating a potential alcohol content of around 6.8 percent. Assuming typical yield, this tasty amber ale will probably end up around 5 percent alcohol by volume. The wort has a nice reddish brown hue right now, and I expect it to lighten up some as the various proteins settle out. Next weekend, I’ll transfer it over to the secondary fermenter and let the whole mess condition over the Christmas holiday. This entry was posted in amber ale and tagged AAA. Bookmark the permalink.